My Big Fat Greek Wedding is the cinematic equivalent of a one-hit wonder, making an absurd amount of money for a film that cost next to nothing. It also made the career of Nia Vardalos, who has leeched off of this singular success ever since. While occasionally leaning on the this first independent film to get additional projects, primarily from those whose pockets were lined by the first film, Vardalos has mostly vanished from the spotlight in the fourteen years since its release. Audiences didn’t want more of the Portokalos family even a year after the initial release, with a sitcom continuation starring many of the amateur actors failing miserably after only a handful of episodes, so the theatrical sequel My Big Fat Greek Wedding 2 reeks of desperation and a last-ditch effort to bleed the franchise dry. 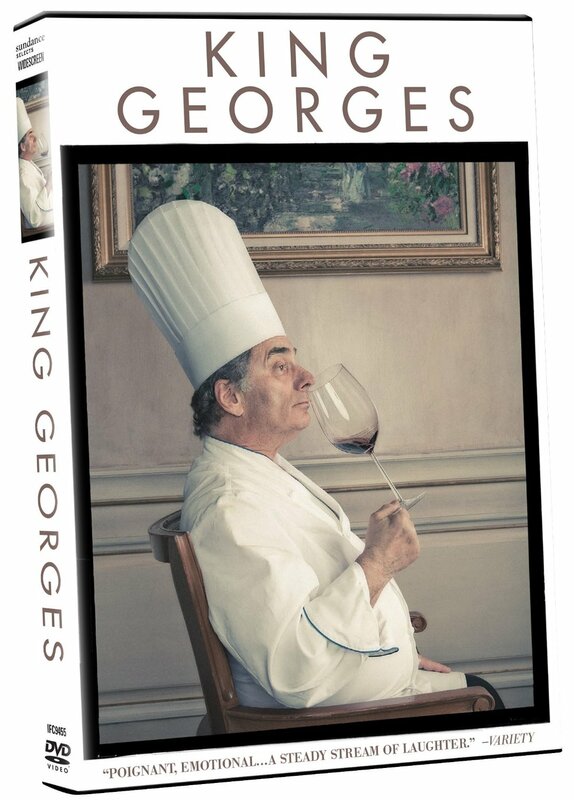 King Georges offers plenty of amusement in the character study of its subject, which is 67-year-old French chef George Perrier and his Philadelphia restaurant Le Bec-Fin, in equal measure. What is missing from the documentary is a clear narrative direction. Although non-narrative cinema is not required to have an opinion about the subject, despite an overabundance of propaganda-fueled films using the medium to make political points or encourage social action, King Georges almost goes too far in the opposite direction. The inexperience of first-time director Erika Frankel is apparent in her noncommittal perspective, instead choosing to allow the narrative to drift aimlessly from sequence to sequence. Nothing is boring, but I had no clear understanding of what the point of the film was by the end. Tim Blake Nelson’s Anesthesia utilizes a format seen often before, linking several strangers together through a coincidental series of events or accidental intersections. Sometimes this is used to show a sampling of characters within an environment. In Gus Van Sant’s Elephant, it was a high school, though more often than not it tends to be a specific city. 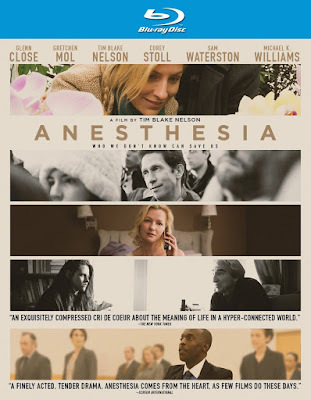 The story in Anesthesia takes place primarily in Manhattan (all except one subplot), but the comments about humanity in have no location in mind. 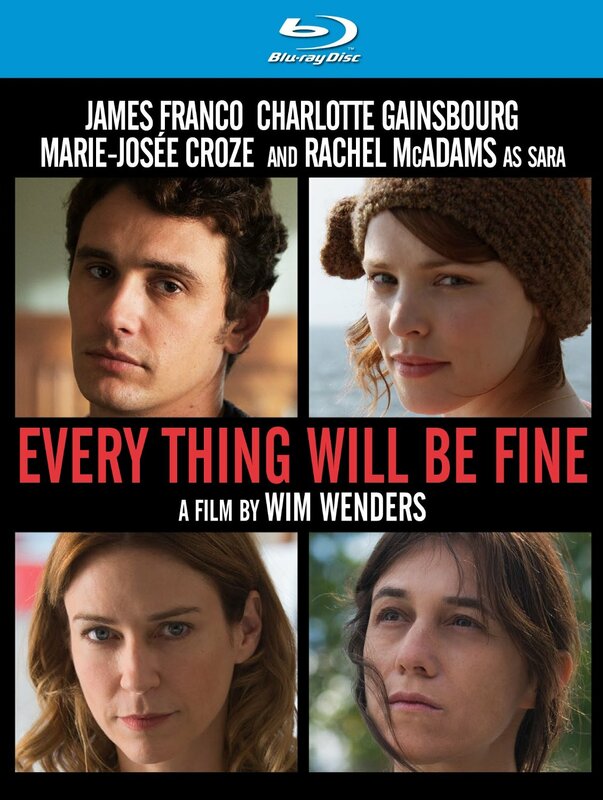 Even if the movie takes place in New York, it is relatable to all Americans. 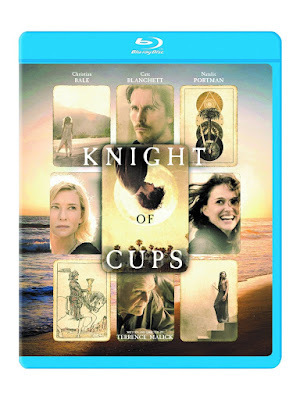 Knight of Cups is less ambitious than Terrence Malick’s notoriously enigmatic Tree of Life, but somehow contains even less narrative and presents it even more ambiguously. The legendary director’s films have always been distinguished with dreamlike visual qualities, though his narratives are drifting further from structure as the years go by. While some remain dedicated fans of this experimental and improvisational style of filmmaking, others often remark that his freestyle methods have almost become a parody of what was once praised about the director. I find myself somewhere in-between, able to appreciate the braveness of his style while wishing that it were paired with a less noncommittal narrative. Sacha Baron Cohen’s original three characters from “Da Ali G Show,” and their subsequent individual theatrical films, were highlighted by their ability to shock in a way that was simultaneously amusing and intelligently satirical. While his latest endeavor, The Brothers Grimsby, certainly lives up to the shock value, it is done for mindless puerile amusement rather than social commentary. While this may provide a few chuckles for an evening’s entertainment, The Brothers Grimsby has more to say about the spy film genre than any real-world issues. Although there are a few jokes about gun violence which could be construed as relevant, the silliness overpowers any commentary. On the other hand, he does use the film to give Donald Trump aids, which should count for something. 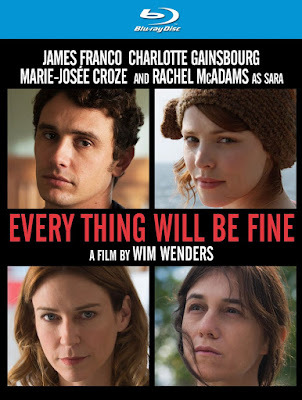 Despite the familiarity of the plot in Every Thing Will Be Fine, it manages to rustle up a few unique and compelling themes. Unfortunately, these are ideas which remain always on the cusp of the narrative, hinted at and briefly mentioned rather than delved into the way that audiences may desire. Director Wim Wenders instead invests most efforts into the visual style, attempting to bring audiences into the mind of the protagonist with the use of 3D photography. While we may at times feel as though we exist in the same world as its characters, rarely do we understand what they are thinking or feeling, and this is a glaring shortcoming of the film’s screenplay. Performances which could have been heartbreaking are instead enigmatic, and suddenly the visual effort is all for naught. The setting may be somewhat unique, but don’t let that fool you. 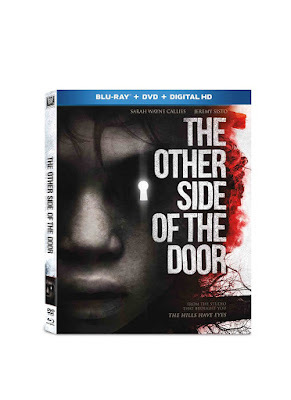 This horror film has been done many times before. The narrative alone shares themes similar to countless other movies, most notably the classic Pet Cemetery, but even more derivative are the stylistic choices made by director Johannes Roberts. It isn’t so much that this is a bad film. In fact, many of the sequences are effectively eerie. The problem is that they all have been done before. The ghost-like woman apparition threatening to come from the afterlife looks and moves remarkably similar to the TV-dwelling spirit from The Ring franchise, while other imagery from Japanese ghost narratives such as Ju-on (remade as The Grudge) are also peppered throughout the familiar storyline. Production elements are on point, but The Other Side of the Door would be far more effective if I was unfamiliar with previous releases in the ghost story subgenre. Faith is a difficult concept to convey cinematically, even with the use of dialogue as primary tool of discussion. 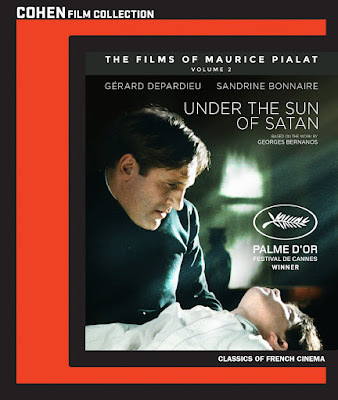 While there are scenes in which the characters have a conversation about religion and life-purpose, Under the Sun of Satan approaches most ideas through character action, making for a straightforward but often ambiguous viewing experience. Perhaps due to my inability to relate to the flawed individuals within the film, or a difficulty in conveying the material adapted from the work of Georges Bernanos, I find the viewing experience of Under the Sun of Satan to be far more intellectual than emotional. Director Maurice Pialat worked as a painter prior to becoming a filmmaker, and at times it feels as though he expects his audience to approach this film as they would a work of art hanging in a museum.